Do you suffer from fibromyalgia? Are you seeking the best mattress for dealing with the difficult symptoms of this condition? If so, this article can point you in the right direction. Our top choice for the best mattress for fibromyalgia is the Loom & Leaf Relaxed Firm mattress since it comes with a unique lumbar area for extra support. The runner-up choice is the Layla Mattress, which has two firmness options in one, to help you choose the perfect comfort level. One of the most prevalent pain disorders in America, fibromyalgia not only results in discomfort but also mental fog and sleep problems. An old or low-quality mattress can make your fatigue and sleep issues even worse, which is why finding a quality bed is so important. With a good mattress, you won’t wake up as often due to motion, overheating, or other common sleep disruptions. And a quality bed with the right amount of support and pressure relief may even improve your aches and pains. Waking up rested can help you face your symptoms with more energy and vitality, potentially making your days better. So without further ado, let’s look at five of the best mattresses available right now for people with this disorder. The Tuft & Needle Mattress is a medium-firm bed that offers both sturdy support and pressure relief. We chose it as the best for hot sleepers because it has a bouncy, responsive surface that allows you to sleep on top of (rather than inside) the bed, keeping you cool. It also uses heat-wicking graphite and cooling gel in its construction. Your fibromyalgia comes with back pain: People with this condition often feel their pain in a variety of body parts, but if you’re a back pain sufferer, the Tuft & Needle Mattress might help. It has a layer of contouring support foam and a medium-firm design that will help keep your spine in alignment. You have a partner or pets: The Tuft & Needle mattress has an all-foam design, so it excels in absorbing motion disturbances. If you have a restless partner or a pet that jumps into your bed at night, this will help you stay asleep. You want an eco-friendly mattress: While most mattresses have some environmental certifications, the Tuft & Needle takes this to the next level. They have three separate certifications that prove their safety and sustainability. You’re a combination sleeper: The Tuft & Needle mattress is a medium-firm bed, meaning that it works for every sleeping position. If you tend to switch positions in the night, this will fit you just fine. The Tuft & Needle mattress comes with a cooling, breathable cover, followed by a supportive, contouring 3-inch layer of foam. The base is a 7-inch motion-absorbing foam material that gives the mattress its shape. The bed has a responsive feel instead of slow sinkage like memory foam provides, though it still contours to your unique body shape. If you have pets or kids, you might consider opting for the Tuft & Needle mattress cover, as a security measure. Since this bed is made with an all-foam design, it absorbs motion very well and you likely won’t feel your partner getting up at night. In addition to CertiPUR-US™ certification, the Tuft & Needle bed is also GreenGuard Gold and OEKO-TEX® certified. All of these certifications test for harmful levels of dangerous chemicals for your safety and environmental sustainability. 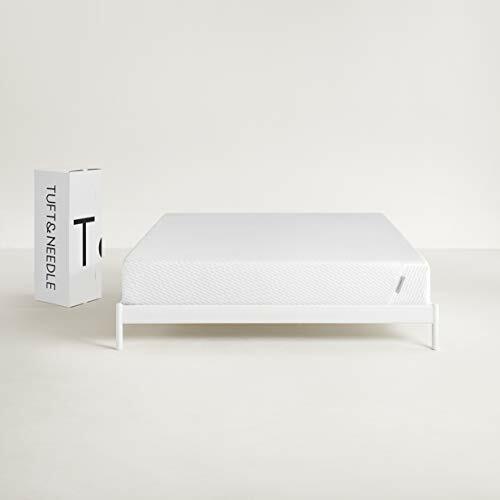 The Tuft & Needle mattress comes with a 100-night sleep trial period and a 10-year warranty. According to Tuft & Needle, 95 out of every 100 customers end up keeping their mattress. If you want a bouncy bed that absorbs motion well and will keep you cool at night, this bed could be a good choice. The Casper Mattress is a quick-responding bed with all-foam construction. Although it has all the benefits of an all-foam bed (like great motion absorption), it also has a bouncy surface that makes switching sleeping positions easy and comfortable. You need cooling technology in your bed: While foam beds aren’t usually known for being breathable, the Casper Mattress company have taken steps to reduce heat retention in their beds. They use open-cell foam in their mattress, which is more breathable than traditional memory foam and helps keep the sleeper nice and cool. 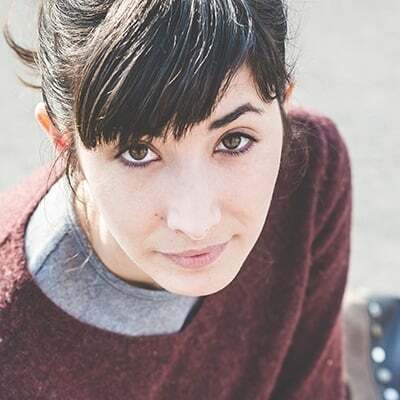 You toss and turn sometimes: Being unable to fall asleep some nights just comes with the territory of your disorder, unfortunately. But at least with the Casper Mattress, you will have an easy time repositioning yourself if you’re up late tossing and turning. This is much better than struggling to move or feeling stuck in your mattress. You want foam without too much sinkage: Again, the surface of this bed is quite bouncy for a foam mattress. So, although the soft foam creates cradling pressure relief, you won’t sink very far into the mattress. You and your partner have different sleep schedules: If you share a bed with your partner and the two of you go to bed or wake up at different times, the Casper mattress could be a good fit. This is because the all-foam construction absorbs motion, helping you stay asleep by preventing disturbances. The Casper Mattress works well for every sleeping position, but stomach sleepers may find it especially comfortable. This is because its responsive surface promotes spinal alignment and prevents too much sinkage in the pelvis area. 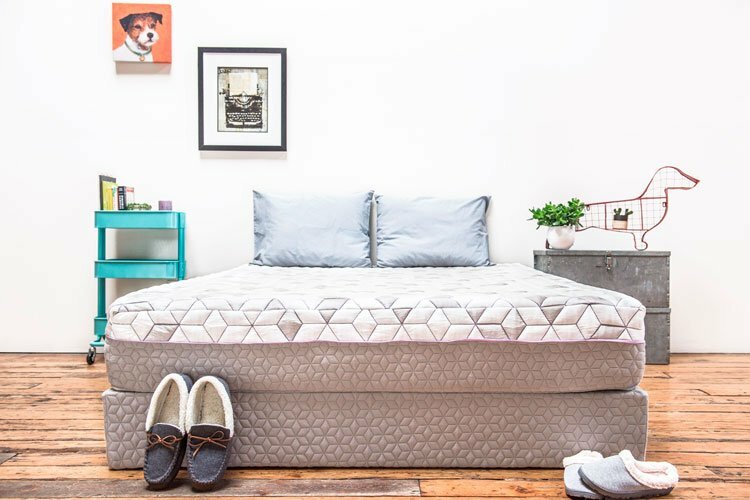 The top of the Casper Mattress is a 1.5-inch layer of open-cell foam, which won’t get as hot as other types of mattress foam. This is followed by a layer of motion-isolating, pressure-relieving foam, then a foam transition layer, and a firm, stable base foam. This mattress is medium firm in feel, which means that it works well for a wide variety of body types, weights, and sleeping preferences. You will sink into the surface of the Casper mattress slightly, but the bouncy feel keeps you from feeling too cradled. This bed is free from ozone depleters, formaldehyde, and harmful levels of other hazardous chemicals for your safety. If you buy the Casper Mattress, you’ll get a 100-night sleep trial and a 10-year warranty. If you want to return your mattress, Casper will pick it up for free and donate it to charity. Even if you and your partner have different body types and sleep positions, the Casper mattress should comfortably work for both of you. A bit of soft pressure relief can be very helpful for fibromyalgia, as can a bed that absorbs motion well and allows you to stay asleep. If this will be your first experience mattress shopping online, it can be hard to know you’re making the right choice. For people who are concerned about that, a double-sided bed with two firmness options in one is a good option. The Layla Mattress comes with both a Firm and a Medium-Soft side, so if one doesn’t work for you, you can just flip it over. You like the sound of a lifetime warranty: Warranties of any length are a good thing, but if you’d rather have one that lasts longer than average, you may want to pick the Layla Mattress. This bed comes with a lifetime warranty that lasts for as long as you own the mattress. You don’t want an innerspring bed: This mattress doesn’t use any coils in its construction, but if you tend to prefer the feel of foam over springs, it should fit your preferences. You want a cooling mattress cover: Cooling technology is important when searching for the best mattress for your disorder. The Casper Mattress has a cover that is ThermoGel®-infused to regulate body temperature and keep you pleasantly cool. You like to support charitable causes: Layla tries to give back to their community and have partnered with a homeless shelter in California as their way of giving back. Each time someone purchases a Layla Mattress, the company gives someone an opportunity to sleep on a bed. The Firm side of the Layla Mattress is slightly firmer than average, while the Medium-Soft side is a bit softer than average. Although the Firm side may be more supportive for people with fibromyalgia, both provide cradling pressure relief and comfort. The fully removable cover of the Layla Mattress helps to wick away moisture and keep you sweat-free as you sleep. This material is followed by a layer of copper-infused memory foam that contours to your body, then an egg crate-shaped layer of foam that promotes airflow and cooling. Next is another foam layer that serves as the foundation for the Medium-Soft side. Last is a final layer of firmer foam that makes up the top of the Firm side of the Layla Mattress. 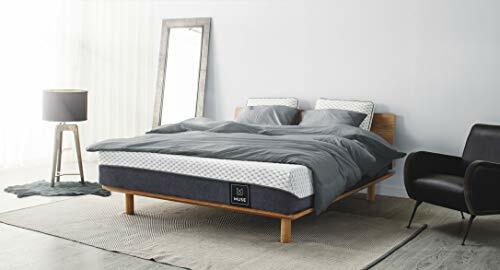 Memory foam is great for absorbing motion and helping even restless couples stay asleep next to each other, so the Layla Mattress excels in this category. If you have pets or you just tend to wake up easily, this bed will isolate movements and help keep you resting through the night. The Layla Mattress is CertiPUR-US® certified and found to be free of heavy metals and harmful levels of chemicals. The bed comes with a lifetime warranty and a 120-night sleep trial period. Overall, if you know you like memory foam, the Layla Mattress is a pretty safe purchase to make with two firmness levels and a lifetime warranty. With cooling technology, motion absorption, and cradling support, fibromyalgia sufferers should find it suitable for their needs. The Muse Mattress is a cradling, supportive mattress that allows you to sink in for pressure relief. It has a memory foam construction, which means it absorbs motion well, making it great for light sleepers and couples. You want different firmness options: The Muse Mattress comes in a Soft, Medium, or Firm feel, so you can choose the option you prefer most. People with fibromyalgia will probably do best on a medium mattress because it will provide cradling pressure relief while also supporting the spine. Depending on body type, some may also do well with the firm option. You tend to sleep hot: Memory foam is known to retain heat, so Muse took some steps to prevent this and keep their mattress cool and comfortable. They incorporate Cold Wire Technology into the bed cover, which enhances breathability. Some users may choose to purchase an additional protector for their mattress. You want memory foam without the “trapped” feeling: Although the Muse Mattress allows you to sink in for tension relief, you won’t feel stuck in the mattress. You also shouldn’t have a hard time changing positions on the bed, even though it doesn’t have a bouncy surface. You need relief from back pain: Fibromyalgia often comes with stiffness, pain, or pressure in the back. If this applies to you, you will probably do well with the conforming support of the memory foam in the Muse Mattress. This mattress won’t give you the feeling of sleeping on top of your bed the way a latex or innerspring mattress will. Instead, you’ll sink into the first contouring, 2-inch memory foam layer, which is enhanced with cooling gel. Next, you’ll reach another 2-inch foam layer, which will be either soft, medium, or firm, depending on which model you bought. The Muse Mattress base is made from dense, sturdy foam to support your body. This mattress does great in the motion isolation category, which is why we selected it as the best option for light sleepers. Whether you sleep next to a restless partner or a rambunctious pet, you shouldn’t feel a thing when they move around at night. The Muse Mattress is CertiPUR-US® certified and found to be free of heavy metals and harmful levels of other dangerous materials. It comes with a 10-year warranty and a 120-night sleep trial period. If you want to return the bed, you can get a full refund. Overall, people who sleep with a partner or just wake up easily should enjoy the Muse Memory Foam Mattress. Note that when your mattress first arrives, it may require a couple weeks to break in. 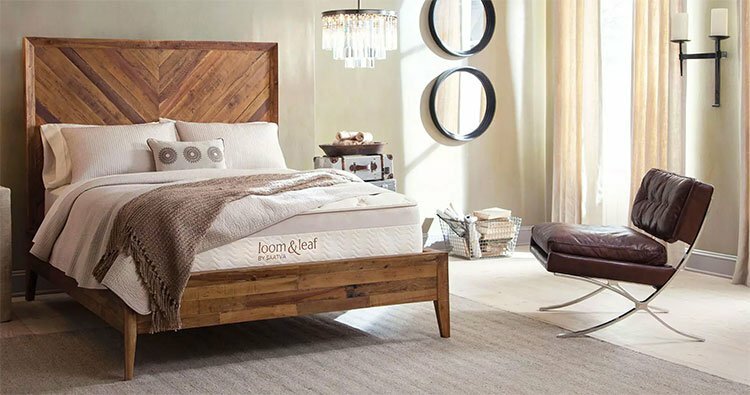 The Loom & Leaf Relaxed Firm mattress has a few features that fibromyalgia sufferers should appreciate, including good motion isolation and a supportive back area. If you’re the type of sleeper who moves around a lot at night, the bouncy surface of this bed should serve you well and prevent you from feeling stuck. Your lumbar area needs extra attention: If your fibromyalgia goes hand in hand with lower back pain, you should find a mattress that addresses this. The Loom & Leaf Relaxed Firm mattress comes with an enhanced lumbar support area for targeted support. You sleep on your side: The Loom & Leaf Relaxed Firm mattress has a soft surface and also supports a neutral spine position. Since side sleepers have all of their body weight concentrated on a smaller surface area of their body, a soft surface that also aligns the spine is important for this position. You’re easily disturbed in your sleep: Light sleepers should do well with this bed since it doesn’t use coils in its construction. The all-foam design absorbs motion well, so you can sleep comfortably through the night. You want a bed with cooling properties: Although the Loom & Leaf Relaxed Firm bed is made from foam, it does well with reducing heat retention. The top layer is egg crate-shaped to promote airflow and also has a cooling gel infusion to help regulate temperature. The Loom & Leaf mattress has an organic cotton cover, followed by the egg crate-shaped layer of foam. The bed has an enhanced lumbar region for extra support, which uses a cooling, non-toxic Spinal-Zone gel from Loom & Leaf. Next is a viscoelastic, contouring memory foam layer, then a transition layer and the 5.5-inch base. This mattress is rated as medium-firm, which should serve most people with fibromyalgia well, but there is also a firmer choice, if you prefer that. Although the bed provides slight sinkage, the supportive base is immediately noticeable upon lying down. Like other all-foam beds, the Loom & Leaf Relaxed Firm mattress is great at absorbing motion, which makes it good for couples and pet owners. The bed was tested and found to be free of harmful levels of heavy metals or toxic chemicals. It comes with a 120-night sleep trial period and a 15-year warranty. All in all, if you’re in need of some additional lower back support and also want a bed that isn’t very bouncy, the Loom & Leaf Relaxed Firm may be a good choice. Contouring: Mattresses that offer a bit of cradling support and contour to your body can be very helpful in delivering pressure relief. This feature could be very helpful for managing your pain, so it’s worth looking for in your next bed. Firmness and Support: Although the right firmness level for you will depend on factors such as your weight and personal preference, you’ll likely want to select a medium-firm mattress. A bed that’s too soft might not support your spine enough, while too firm of a mattress might not provide enough pressure relief. Motion Absorption: Motion absorption refers to how well a mattress can isolate movements from the other side of the bed. A bed with poor motion isolation, for instance, will cause you to feel the movements clearly every time your partner shifts in their sleep. Good motion absorption is important for your condition because being jostled can make your pain worse or just wake you up repeatedly, which isn’t helpful when you likely already deal with fatigue. Cooling Technology: Sleeping in overly warm conditions makes it very difficult to get enough rest. When you have fibromyalgia, it’s best to find a mattress that promotes airflow, has cooling gel, or some other temperature-regulating features. These extra properties will help you get better rest, which can make dealing with your symptoms during the day much easier. The right bed can definitely help you deal with your symptoms, whether it helps ease your pain or just allows you a more restful night’s sleep. Hopefully, this guide gives you some good ideas for your next mattress.